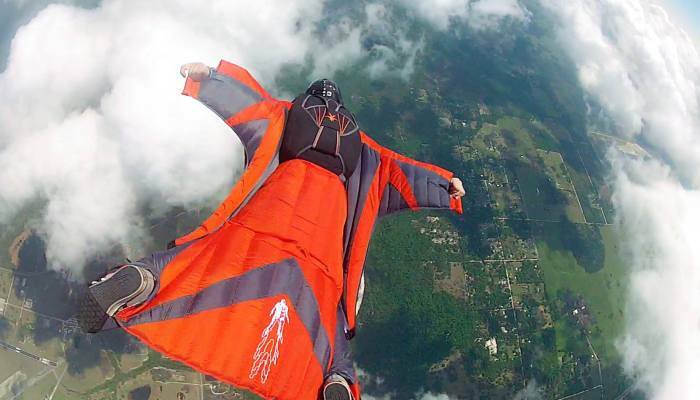 Some footage of my wingsuit jumps – enjoy! Today I got to pick up my new R-Bird from TonySuits! I took it out for a few test flights at Z-Hills and it is really awesome!! 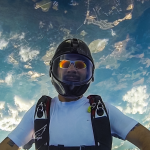 This is some footage from my first few wingsuit jumps. I did an awesome tandem jump with Skyler the skydiving teddy bear! It was for the Canopies for Kids cause – find out more about the Canopies for Kids program at their website (canopiesforkids.com). And a really big thank you to my friend Eric for shooting outside video! It is hard to express how awesome Bridge Day is! 2013 is my first year going, and my very first two BASE jumps. It was exhilarating and terrifying all at once – what a rush!! The video is footage of our crew and our jumps – Chad & Dena, James, Paul & Amie, Rich, Hank, me, Ronnie, and Larry.